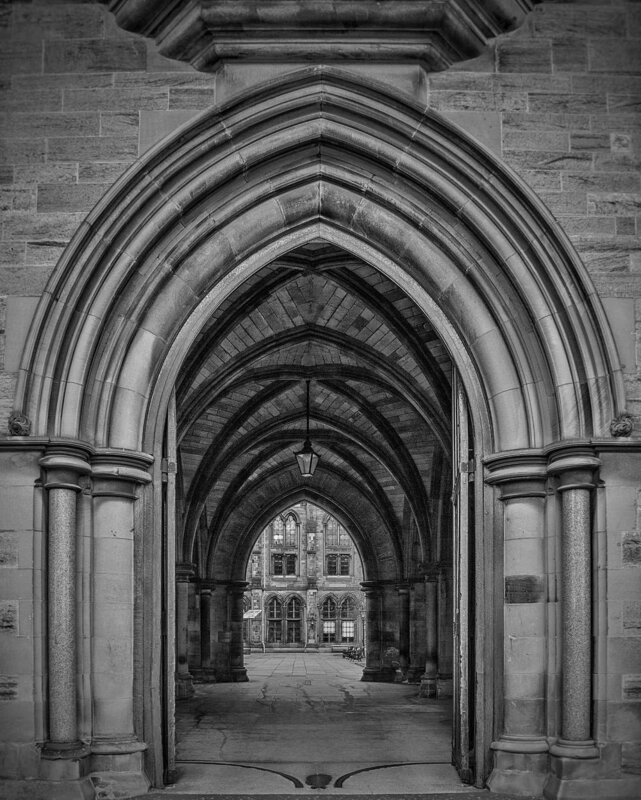 Have added two new prints to the shop, both from Glasgow University in Black and White. One of the archway through to the quadrangle and one in the cloisters adjacent to the quadrangle. Details can be seen in the prints page. A view from the Archway to the Quadrangle.